Dec. 15, 2014, 11:45 a.m. Dec. 15, 2014, 11:45 a.m.
Company director Paul Dunn and Insurance Revolution’s Mark Rigby helping to distribute toysPaul said: “I’m so proud of the team. They came up with the concept completely off their own backs, which I think is commendable as everyone is more financially pressured at Christmas. Generous Well Dunn staff have shown that Christmas really is the time for giving – by donating their festive bonuses to a Manchester charity. 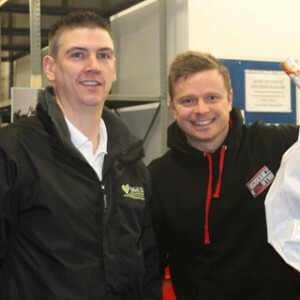 The money donated by Well Dunn Insurance and its associated brand, Insurance Revolution, has been used to buy new toys, which some team members helped to distribute at the charity’s Wood Street base on December 15th. Please visit woodstreetmission.org.uk for more information.